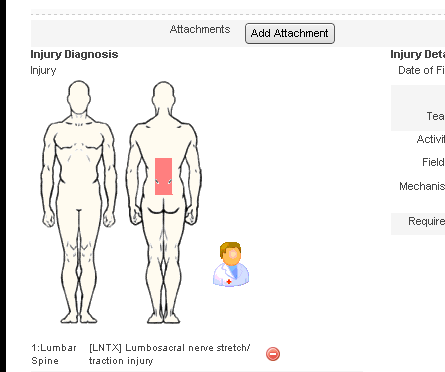 You can now import in OSICS injury codes into an Injury/Illness Form without having to reformat the Injury Data with a "|" between the Medical Code and the diagnosis. Previously, you could NOT import OSICS injury codes back into the software without manually updating each Code in the csv spreadsheet you were importing. 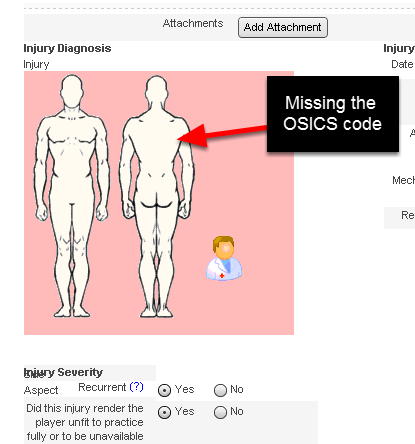 If you imported in injury codes without updating each one, the OSICS body diagram in the system would be blank (it would appear without an injury code in it). 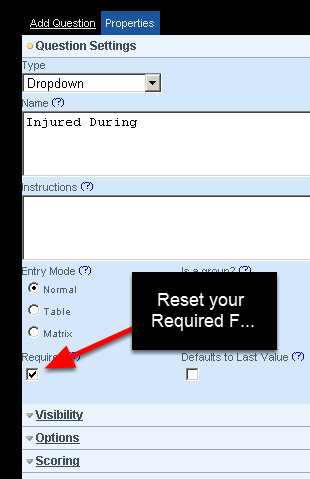 When you import in Data into an injury form, you may have a number of fields that are set as "Required" fields. 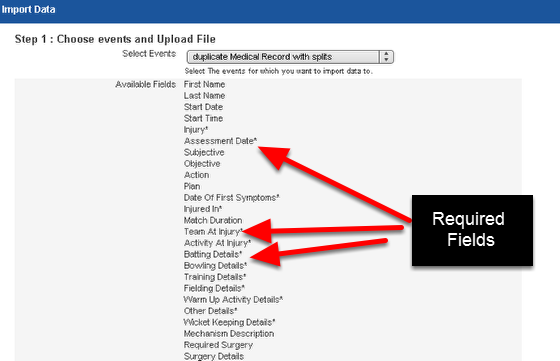 You MUST have an entry for each required field for each injury record or the import will report an error and the import will fail. This means each cell in a required field column has to have an entry in it. Be careful not to get caught out by required fields that are only visible when specific options are selected in previous fields. 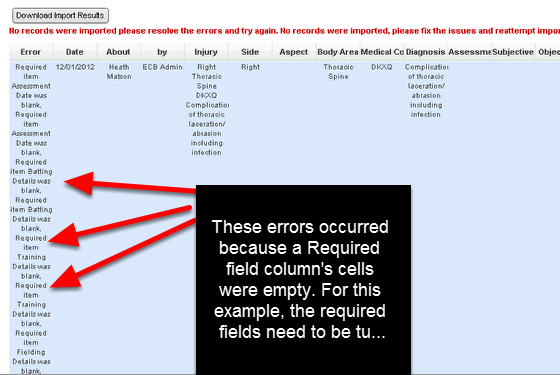 The example below is an example of the error report when the require fields were not turned off. Any problems ask your Distributor.